As part of my Royal Artisan duties, I am required to complete and Arts and Sciences project in the name of Queen Liadan. As I have been interested in sweet bags for a while, I decided it would be a project that I could learn new techniques as well as fulfilling my duties as Royal Artisan. Appendix of 31 sweet bags and references. 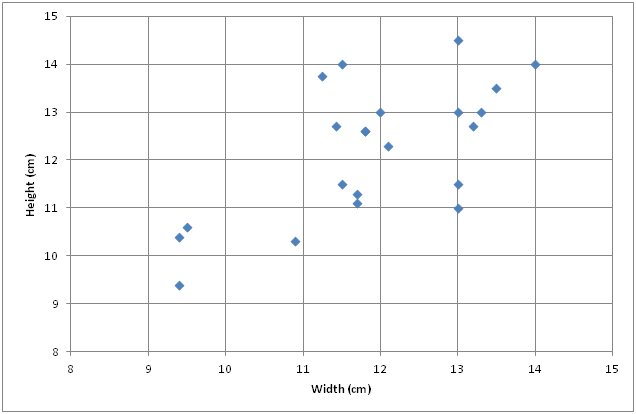 Wherever the information was available, I tabulated the dimensions and created a graph of the sizes of the extant sweet bags. Size ranges of extant Elizabethan Sweet Bags. Of 23 bags with a height listed, the largest was 14cm tall and the smallest was 9.4cm tall. Of 22 bags with a width listed, the largest was 14.5cm wide and the smallest was 9.4cm wide. 10 bags are wider than they are tall. 5 bags are exact squares. 7 bags are taller than they are wide. This demonstrates the range in forms of the various extant sweet bags. To decide on a size for my sweet bag, I considered the time I had to complete my project (i.e. it’s due at Fields of Gold in Politarchopolis in the last weekend of November). I also decided that I wanted the embroidery pattern square, and would therefore need a bag with dimensions that are taller than it is wide (to allow for the eyelets without disrupting the pattern). I ended up choosing the dimensions of 9.4cm wide (in line with the smallest extant bag) and 10.4cm tall, both of which dimensions fall within those of the graphed, extant bags. Decorations of metal thread at the top of the bag (look like a pair of pretzels on the top). It’s quite an intensive plan, however, I am undertaking the project in the order above so that I can stop at any time past the 4th dotpoint and have a finished sweet bag for November. The plan above is the ultimate goal. 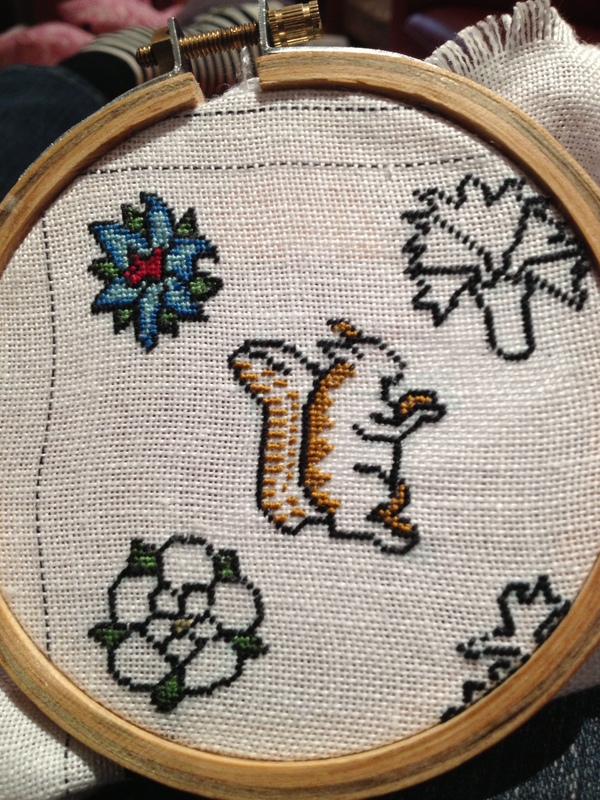 Next, I mapped out the rough design on the computer for the 5 motifs for the tent stitch, which is my starting point. My motifs were all inspired by extant sweet bags, and were chosen because they appealed to me and made a unique pattern whilst still maintaining the look of extant sweet bags. The placement of the 5 tent stitch motifs for the first side of my sweet bag. 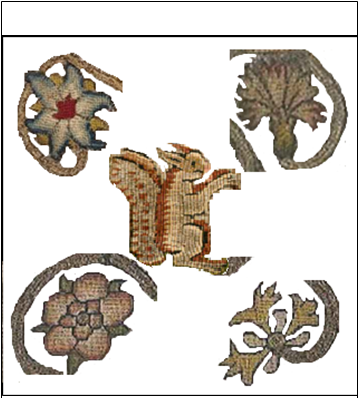 With the ground fabric, the extant bags were made from linen, silk satin, velvet or heavy paper (Figure 8 of the appendix pdf). 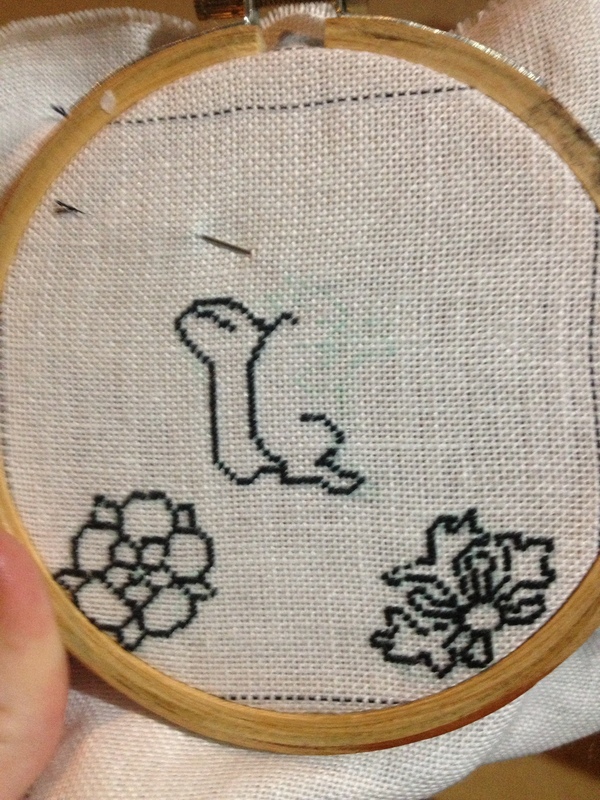 In terms of the base fabric, I chose linen. 16 of the 31 sweet bags have been listed as having a linen or linen canvas ground. In order to do tent stitch, and given that I’ve never done tent stitch before, and it’s important for the fabric to be even and having a large enough weave… I searched around and bought Cashel Linen, 28 count from OzStitch’s online store: http://www.ozstitch.com.au/shop/. The silk thread I’m using is Madeira silk, which I’ve pulled apart into paired threads. 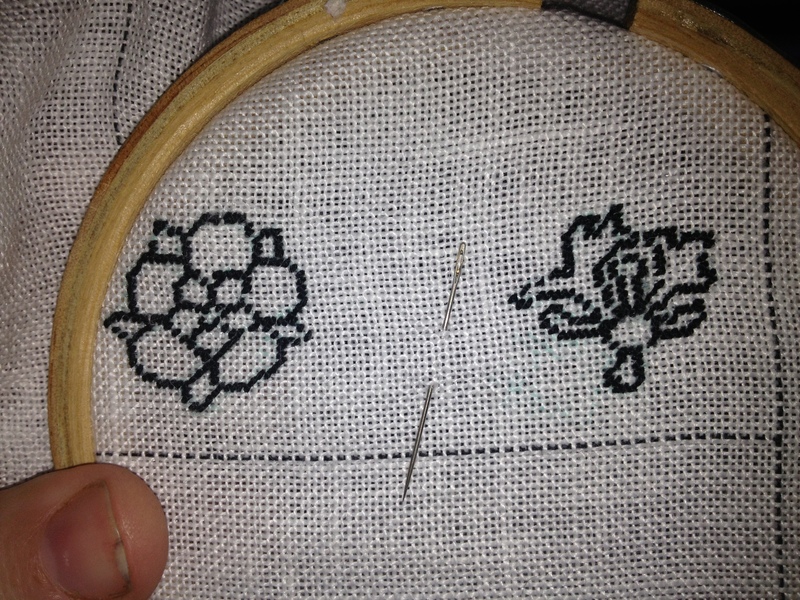 Outline of a rose (left) and incomplete outline of a honeysuckle (right) in black tent stitch. 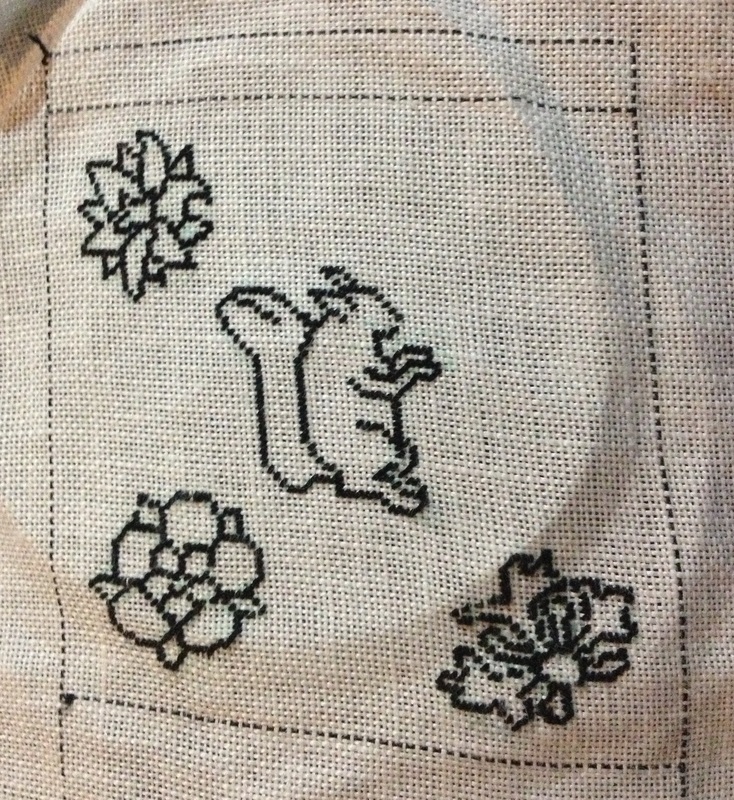 Outline of rose, honeysuckle and incomplete squirrel outline in black silk tent stitch. 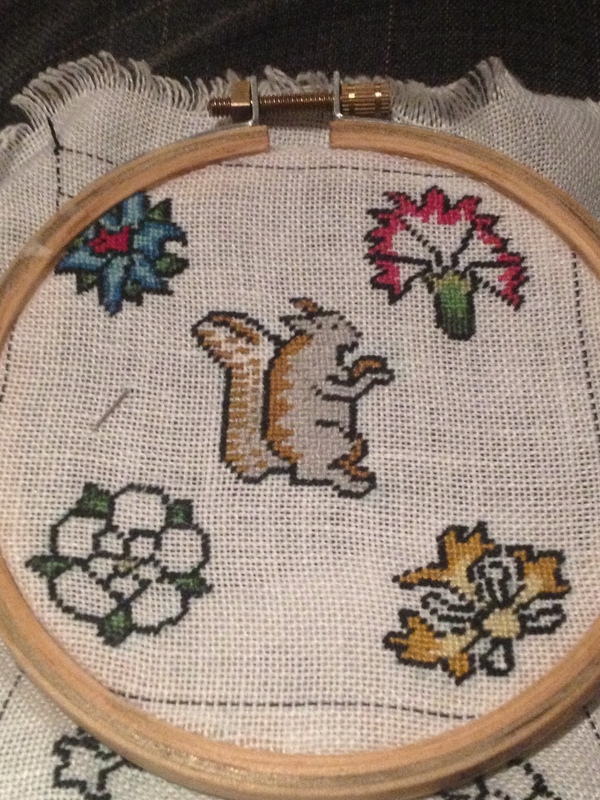 Columbine flower outline (top left), squirrel, rose (bottom left) and honeysuckle (bottom right) in black tent stitch. 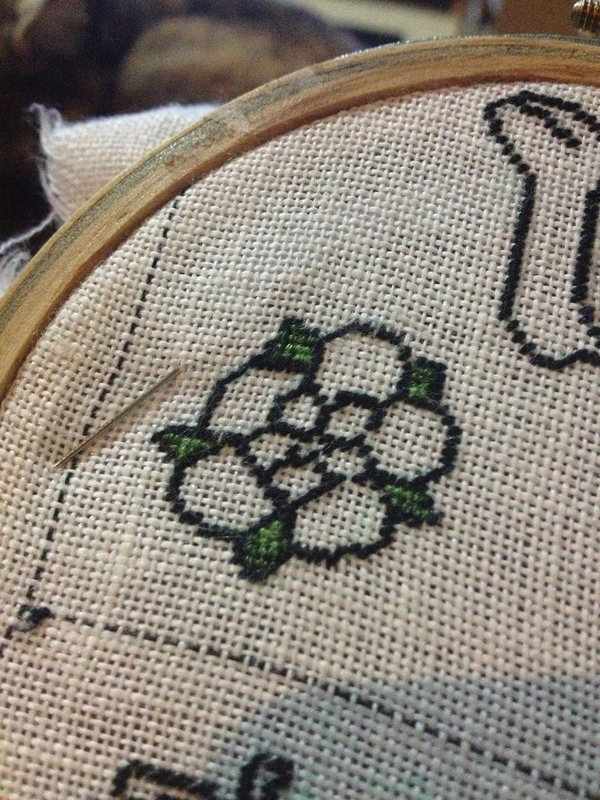 Rose outline with two shades of green infill added for the leaves. All in silk tent stitch. Start of the dark blue infill in the columbine flower, all in silk tent stitch. Completed columbine flower, all in silk tent stitch. Completed columbine, partially completed carnation (top right), partially completed rose and partially completed honeysuckle. 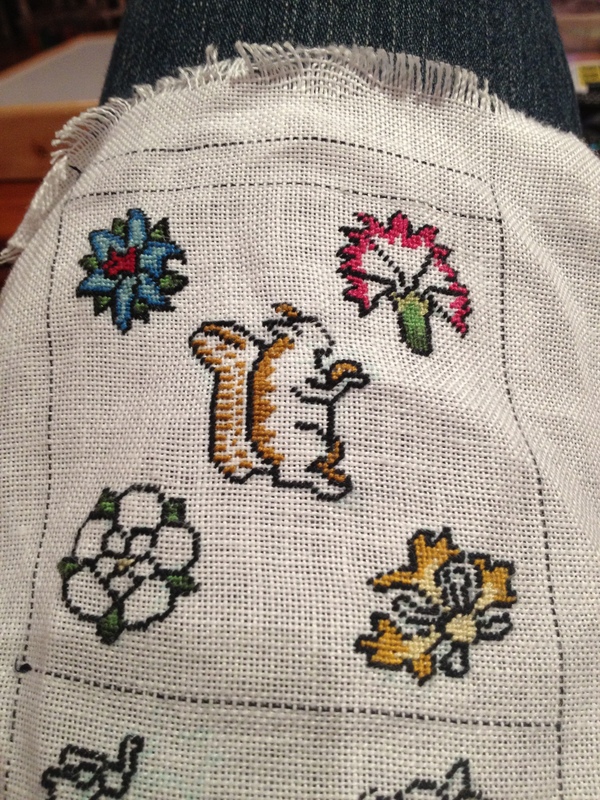 All flowers and squirrel are complete except for the stamens on the honeysuckle (bottom right). The next step is to get the other side of the pouch finished. 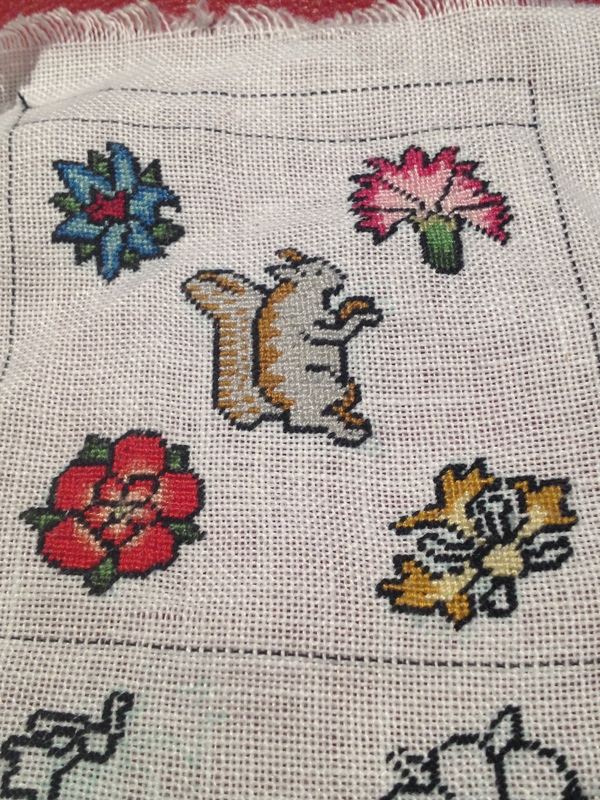 The four flowers will be the same, however, I intend to replace the squirrel with a fox. 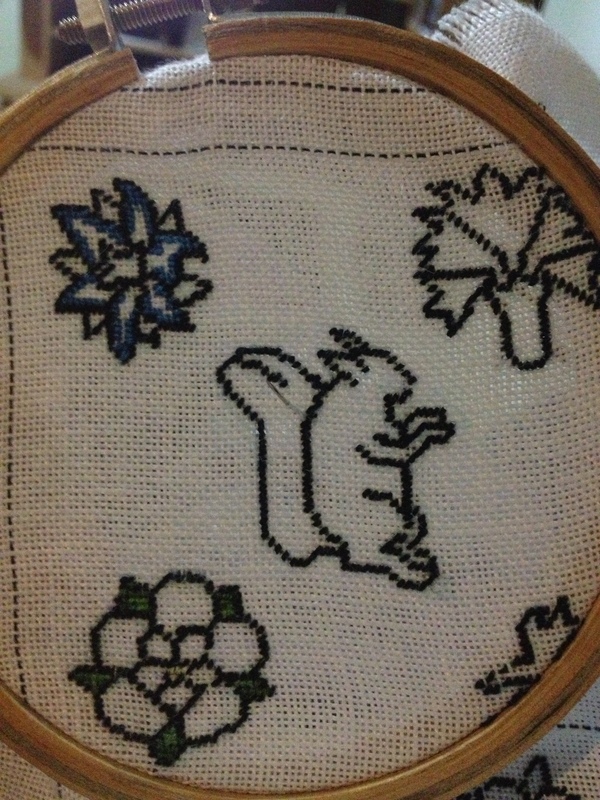 I hope to finish all of the tent stitch for my next update. If things go well, I also hope to get some of the Elizabethan plaited braid finished as well. Awesome project! Great detailed explanation of everything.